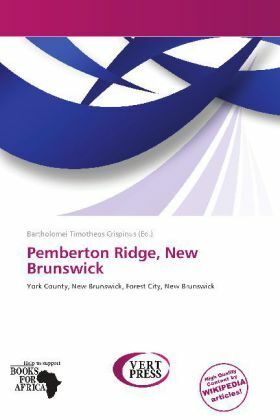 Pemberton Ridge is a Canadian rural community in York County, New Brunswick. It is situated 6 kilometres north of Forest City on a hill overlooking East Grand Lake and Spednic Lake. In the early 1860s it was called "Skedaddle Ridge" because of settlers from Maine who fled there to avoid draft into the American Civil War. Some of the settlers include the Leeman and MacKenney families, of which descendants are still living there. In its heyday, Pemberton Ridge probably had a population of 15 20 families comprising 75 100 residents.